Welcome to the summer edition of your dedicated Owners’ newsletter. Still revelling in the warm aftermath of the hottest June since 1976, we take a look back over the last six months here at Unique Home Stays, which have been just as much of a sizzling affair. On top of surpassing last years’ booking levels, we’ve appointed new staff members to our growing team, achieved headline press, hosted two owners events and welcomed 14 exceptional new properties to our exclusive portfolio - so a very special welcome to our new owners. We appreciate how busy you’ll all be in the midst of the summer social calendar, what with Goodwood Festival at a close and Wimbledon underway, so we’ve collated those all-important ‘need to knows’ to get you up to speed with the latest performance action here at Unique HQ. Between January 1st and June 30th, the Unique Home Stays website attracted over 660 thousand users, resulting in 1.1 million sessions. Our driven approach to increase brand awareness has been a huge success, with a 24% rise in direct traffic compared to 2016; showing online users are directly searching for our website more than ever. Our soaring digital presence on social media channels such as Facebook and Instagram continues to engage new and existing customers. We can eagerly report an impressive 226% increase in users converting to our website via social media referrals, with the majority of our creative campaigns generating an ROI of over 1000% this year. 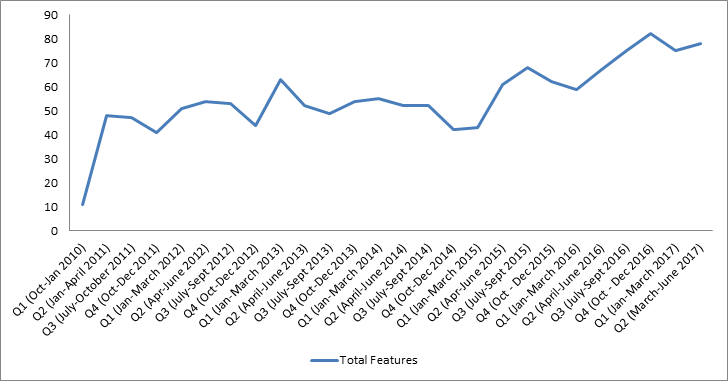 Over the last six months we have secured 21% more bookings than in the same period for 2016 along with 56% more advanced bookings (including 256 already secured for 2018). 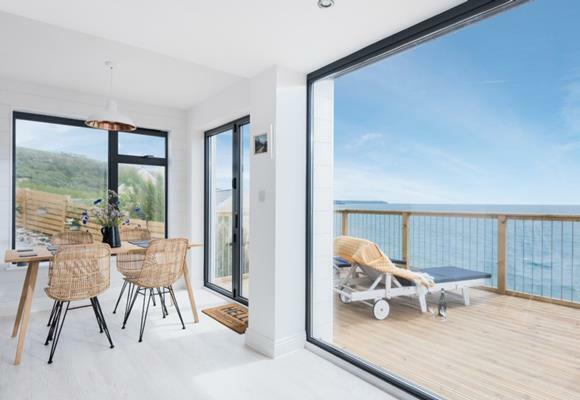 One property that really stood out was The Sanctuary, already aquiring 32 bookings and 73% occupancy for the remainder of 2017 all within the three weeks it's been live! I hope you’ll agree, we’ve had a winning first half of the year and we’re delighted to share more of our highlights and successes below. Enjoy. A huge congratulations goes out to Delphin which was the best performer based on occupancy levels over the last six months (with 91%). Closely followed by Eirianfa, Faerie Door Cottage, Little Scarlet, The Poet’s Hideaway, Supernova, The Woodlanders, The Boat House, Filly Island and The Hop Store. Nomad is given the Unique Home Stays golden crown confirming more than 10 bookings per month between Jan 1st and June 30th. Followed by Islander, Filly Island, The Little Charcuterie, The Salt House, Blue Point, Little Bear, The Beach Hut, Seaglass, and Dragonwood Boat House. 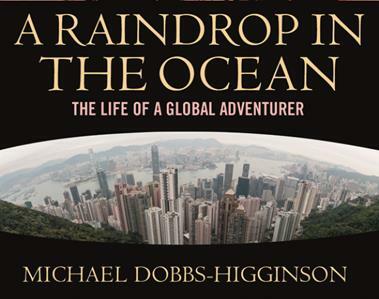 Former Unique Home Stays owner and investment banker, Michael Dobbs-Higginson, reflects on a life well lived as he celebrates the launch of his unique memoir “A Raindrop in the Ocean: The Life of a Global Adventurer". 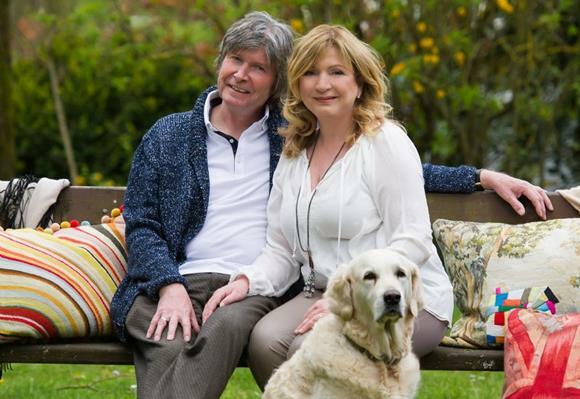 Now facing terminal illness with extraordinary calm, he tells his tale as an adventurer, self-reflective soul and devoted family man who was rarely at home. If you would like to read about Michael's incredible life journey, you can purchase his book on his publisher's website; 10% royalites will be going towards two charities which Michael supports, Operation Smile and Orbis. 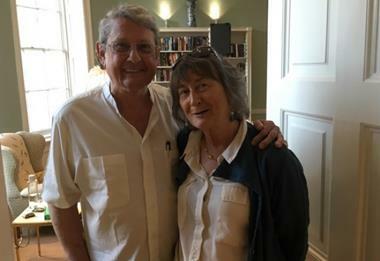 The last owner's dinner, held at Lewtrenchard Manor in Devon, was once again a big success. Thank you to all who made the journey to join us and thank you to all those who have completed the recent survey outlining exactly what you want to see from future owner events. Stay tuned for some exciting announcements over the next half of the year where we hope to meet even more of you. I would like to take this opportunity to remind you of the Home Swap service, where you can experience other Unique Home Stays completely free of charge when using your owner days. More information is available in your owner’s area, simply log in and click ‘home swap’. Please also remember there is a £500.00 reward for all new owner referrals, payable when the new property goes live. As a result of encouraging extended bookings, many guests are now staying for longer periods of time in your properties. Please ensure that arrangements for additional housekeeping are made so your guests are provided with a fresh set of linen and towels alongside the removal of refuse and recycling. We encourage you to brief guests of housekeeping arrangements during check-ins, if possible, especially for those longer staying guests. We hope this will help limit the impact of excess waste and alleviate confusion for guests. 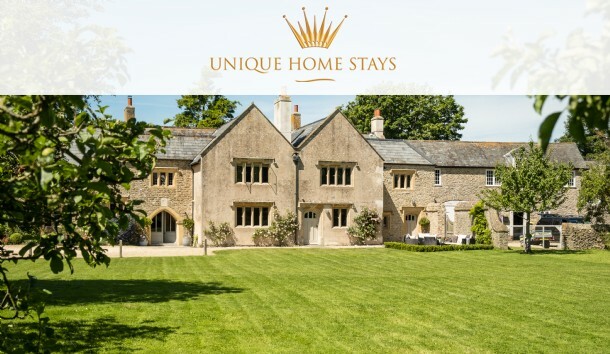 Over the last six months we acquired 125 features, including The Sunday Times Best Cottages, The Independent’s Best Dog-Friendly Cottages and The Telegraph’s Best Holiday Companies. 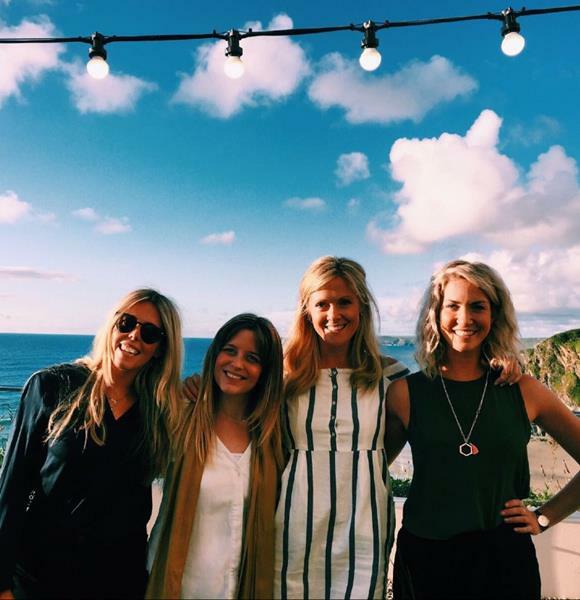 As part of our social influencer marketing, we invited 'Toff' from Made in Chelsea to stay, along with blogger Mother Pukka and Vogue contributor, Jo Rodgers. 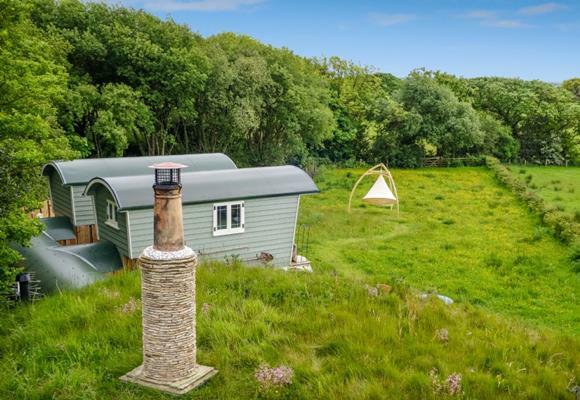 Little Bear shot to fame on Channel 4’s Cabins in the Wild, whilst other highlights include excellent press coverage for our first property in Ireland and collaborating with Crew Clothing on their summer events. It was also an honour to speak at the She Means Business South West tour, showcasing all we do to push the boundaries of marketing. • A recent request from a guest put us into quandary when they requested a large watermelon and giant Galaxy bar to be placed on the bed. Surprisingly, we had no complaints from the housekeeper on their departure. Don’t worry, we won’t be enforcing these additions to the 'extras' list anytime soon. • Guests at Beauport called us furious to discover the River Yealm was ‘empty', they even continued to ask whether there was any way the owner could speed things up so they could use the kayaks provided. • Lastly, we honour the many comedy moments incurred by our stylists and photographers in their efforts to get the perfect shot - such as when Paul and Mark spent a balmy afternoon herding sheep around the Isle of Skye. All in the name of marketing your homes!